Comments: Comments Off on It is time for the Browns to change QBs. 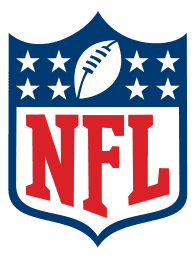 NOTE: Tune in Monday Oct. 7 at 6 PM Eastern for a recap of the week 5 games by Samantha Bunten of NBC Sports, Tony Williams Giants beat writer for Metro New York paper and yours truly. Hear it live on or the archives on https://fryingpansports.com/radio-show/. Little’s return did not give Hoyer any favors. 1st at their 8. Gordon drops the ball WIDE open. Perfect pass despite having Williams in his face. Lauvao wiffed on Williams. That would have been a TD. Bad start 3 and out on their 10. PI on Haden against Johnson. 1st and Goal at the 1. Both guys were holding the other. Second stupid return by Little. WHAT ARE YOU THINKING? Nice out by Bess. Perfect throw. Great pass to Bess in the middle of the field. Hoyer is down after a run for a 1st. If he is out there goes the season. On the 1st down pass not any pressure by the D.
Nice 5 yard run by Choice. Two missed tackles on Graham by Haden and Skrine. Mingo with a huge hit on Graham forcing him to drop the 3rd down pass. With Weeden at QB 10 points are as good as 100. Lauvao pulls and runs right by LB Alanzo that tackled McGahee for a 5 yard loss. The O line breaks down and Weeden is sacked. Both Thomas and Greco went to the DT on a T E game and Williams gets the sack with no one on him. Skrine with great coverage on Woods breaks up the pass. Good pressure on Manuel. Great blocking gives Jackson 10 yards. Gipson missed the tackle. Choice for 6 yards Haden on the tackle. The O line is getting blocks on the second level. Cousins gives up a hit on Weeden because he was holding it too long. Williams helmet to helmet on a pass to Bess. 1st down 12.5 Weeden is confused. On that play Weeden hung Bess out to dry by throwing late and high. Weeden is sacked. Loss of 4 because he was confused by the play and coverage. Weeden ran into the sack with his total lack of vision. 3 yard pass to Cameron on 4th and 13. Robertson gets Spiller for no gain. Manuel on a crossing pattern to Woods for the 1st. Zone did not break down fast enough to prevent the completion. Kruger knocks down the pass and forces the punt. He dropped into the zone for the block. Ogbonnaya drops the ball and is hurt on a 3 yard pass. The O line can’t get any push on a run by McGahee for 2 yards. He is not dancing he is looking for a hole. Weeden late on the throw to the sideline and Roby almost picks it. Good run by McGahee for 11. Blocks by Mack and Greco. TO Cleveland Weeden can’t get the guys lined up correctly. McGahee with good vision gets to the 6. The Bills run at Mingo but not much there. Benjamin with a 79 yard TD return. Great vision and speed. Manuel zone read off Mingo but the run nets only a couple. Personal Foul on RB Jackson takes the ball back to the 16. Browns almost block the punt. Lauvao gets pushed down by the D line and McGahee gets a 3 yard loss. Olay block by LG Greco lets Williams run right by him for the sack. Browns 3 and out with a loss of 10 yards on the possession. The Bills OGs are getting to the second level against the Browns. TD by Jackson Browns lose contain again. Nice throw by Weeden but it was late. Little was wide open early then DB caught up at the ball got there. Protection was good. Fade is inc. Weeden has never been able to make that throw. Greco with a 15 yard penalty to the 37 Face mask. Another late but accurate throw by Weeden to Gordon but he double caught it in the endzone for the score. Good read by Weeden. TE Chandler drops a perfect pass by Tuel. 3 and out by BF when Tuel could not stand up against the blitz. Thomas with a false start. May have been a late snap by Mack. Weeden has no pocket feel and gets the ball stripped by Hughes. Thomas recovers after he let Hughes get to the QB. Three and out for Browns. Ward nails Spiller for no gain. Armonty Bryant gets the sack on 3rd and long. Mingo got an assist by forcing Tuel off his spot. Fade to Cameron bad throw by Weeden. Fron the 1 why not a QB sneak for the TD? FG from the 6 just inside the left upright. The ball hit the ground but the Browns don’t challenge. Weeden to Cameron for 13 Barnage blocked the blitz but could have been called for a hold. Hughes gets Weeden because he held it forever. He is still staring down the WR. 3-15 Ball behind Bess and nearly got picked. Weeden was late again. Nice return by Benjamin of 12 yards get the ball out to the 43. The Browns just missed the block. Little drags McKelvin for 5 more yards and a 15 yard gain. Weeden can’t make up his mind where to go with the ball and has to throw it away to avoid the sack. Any time Weeden feels pressure he tends to panic. Tuel pass caught but Hogan was out of bounds. Screen pass good to the 32. Tuel’s pass is jumped by Ward and pick 44 yards for the TD. The Browns were playing zone and Tuel stared down his receiver. Offense: QB Brandon Weeden did well considering he was coming off injury and the short week. The most important statistic was 0 picks. It is too bad that QB Brian Hoyer was hurt. The biggest impact of the injury is that the team will not see enough of his play to tell if he could be a long term solution. In my opinion he was not the long term answer. The team will draft a QB in the early rounds. 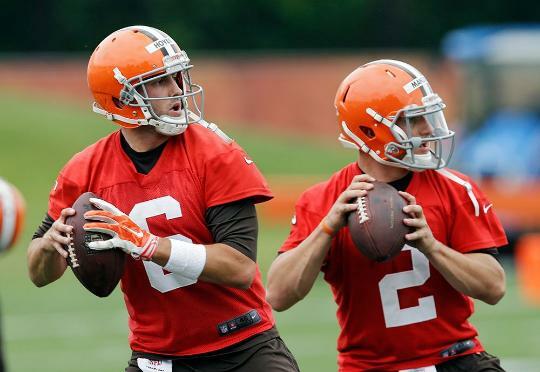 Will Hoyer start next year until the rookie is ready? Quite possibly and the hope will be that Hoyer or Weeden can keep the team competitive until the new guy is ready. Yes, Weeden is still staring down the receivers and panicking under pressure. But IF he continues to play like he did against the Bills Weeden will be OK. For the Browns to have any chance to win Weeden cannot give the ball away. The running game began to show some spark. RB Willis McGahee runs hard and he looks more comfortable in the offense than he did last week. RB Bobby Rainey has potential and I liked undrafted rookie Fozzy Whittaker as well. He is raw as sushi but has speed and toughness. It was great to see WR Greg Little catch the ball with his hands. He has way too much physical ability to allow his career to be ruined by bad hands. Even WR Davone Bess drops the occasional ball as we saw this week. WR Josh Gordon and TE Jordan Cameron did OK in this game but neither had their usual spectacular catch we have seen with Hoyer at QB. Hoyer has more touch than Weeden will ever get. The O line got RG Shawn Lauvao back but he is at best a quality reserve. He was pushed around a lot by the Bills D line. LG John Greco is not much better. He was fooled over and over on the T E game and allowed pressure and sacks on the QB. He seems to be a better run blocker than pass protector. Neither guard anchors well against a bull rush. Both also struggle to read the blitz or games by the D line. RT Mitchell Schwartz has some nice blocks but is not a starting quality OT. Next the serious OG issue, he looks better than he is. Defense: Other than the 54 yard TD run by RB C.J. Spiller, the Browns did a great job of keeping the Bills offense under control. On that play SS T. J. Ward blitzed and FS Tashaun Gipson did not go to the middle of the field like he should. The Browns D held the Bills to 5 third down conversions in 17 attempts. When E. J. Manuel went out with an injury, the Bills were no longer a threat to score. Undrafted rookie QB Jeff Tuel is not an NFL quality QB. He completed only 8 of 20 throws for 80 yards. The Browns D looked good but this was not much of a test. Special Teams: PR Travis Benjamin was electric with two great returns including the 79 yard TD run. We have not seen anything like that in a long time. Spencer Lanning did a great job punting and Billy Cundiff was 3 for 3 including his 44 yard field goal and did well in kickoffs. Coaching: The second half of the game was better for Weeden because of the adjustments made by the staff at half time. They put back the long balls with which Weeden was much more comfortable. In previous seasons we have seen coaching staffs that were either unable or unwilling to make half time adjustments. It was great to see the staff realize that the playbook had to change when Hoyer went down. The Bottom line: Perhaps the biggest question now is what kind of QB should the Browns bring in be the 3rd guy? Here is an out of the box suggestion: Sign former Arkansas QB Tyler Wilson. He is on the Raiders developmental squad but going into the 2012 college season was expected to be a first round pick. I scouted him and felt that he was much better than any of the top QBs. He suffered from the change of coaches just prior to the 2012 season and a very poor line and receiver corps. He has an above average arm and almost single handedly kept the team in contention.